After studying in a preparatory school to enter in the Royal Academy of Arts in Stockholm, Nordström decides not to continue with his formal education and travels to Paris in 1881. He is influenced by the French impressionists and his art, realistic at the beginning, changes its course. He returns to Sweden and moves to the southwest coast of the country, specifically, in Halland County. Although the artist knew the rules and mastered the impressionist technique, his paintings resulted very different from the French. While the impressionist landscapes are generally clear and varied, Nordström’s work reflects the darkness and the monotony of the Swedish coast. 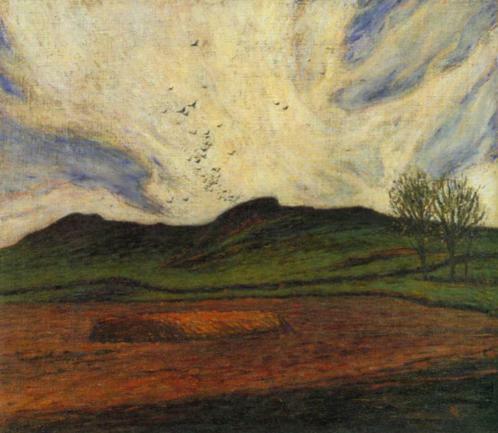 Storm clouds is an example of the paintings by the artist who, although very influenced by the French, distances himself from them giving his work a reflexive and melancholic atmosphere. ~ by Álvaro Mazzino on March 31, 2011.
dental hygienists make around $21 per hour, the highest paid individuals in the country. Philippines. All parts of nose needs to be analyzed properly to stop any mistake during the surgery. the anticipated recovery as soon as the surgery. out paying more than you’ve got to. Hsu so you can discover how you’ll be able to finally be happy with your nose. however, nothing has a greater influence on how a person looks compared to the decoration from the nose. They can essentially be performed in the lunch hour. learn plenty of new stuff proper right here! Best of luck for the following! They carry government license to undertake the business. first buying researching real-estate. Then your real-estate agent notifies you that there has become another offer. These articles offer steady anchors for fabricated replacement teeth. This entry was posted on March 31, 2011 at 12:39 and is filed under Impressionism.You can follow any responses to this entry through the RSS 2.0 feed.You can leave a response, or trackback from your own site.